When living in the Dallas-Fort Worth area of Texas, there are many different cities and neighborhoods to choose from, but we’re pretty partial to Irving. Irving offers residents access to major employers, great schools, sports and recreation, shopping, dining, entertainment, and all of the conveniences of daily life. From shopping at the Irving Mall to catching the latest Ranger’s ballgame, there’s something for everyone when you call our Irving apartments near Irving Towne Center home. Located within minutes of Highway 161, Highway 183, and DFW International Airport, Promenade at Valley Ridge offers residents one of the most preferable settings in the city. Commute into Dallas or Fort Worth easily or fly out for your next business meeting or family vacation with ease. Whether you have a student attending Valley Ranch Elementary School or the University of Dallas, our location in Irving makes getting an education simple - at least when it comes to having a cozy place to do homework. Go grocery shopping to Kroger, pick up dinner at Vito’s, and catch the latest blockbuster at AMC Irving Mall 14. They’re all within minutes of Promenade at Valley Ridge. 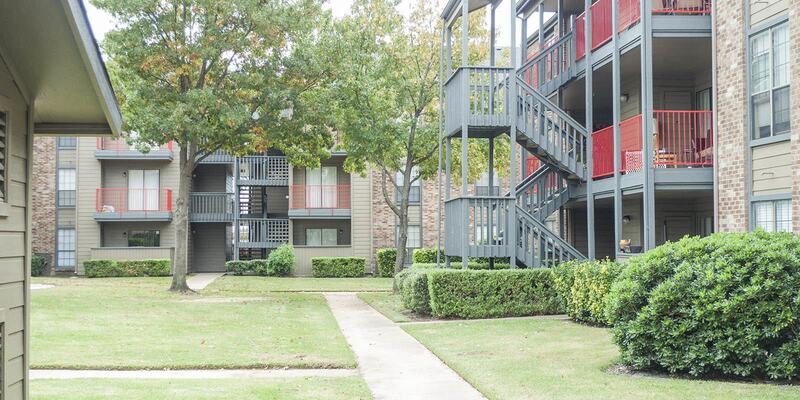 Enjoy the casual convenience of living at our Irving Apartments near Irving Towne Center. Contact Promenade at Valley Ridge for more information about current availability. We look forward to meeting you and seeing you around the neighborhood!